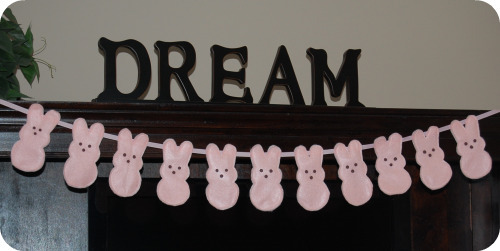 So who hasn’t already made these peeps from Dana Made It?? Most of my crafting and sewing involves girly things, so on the holidays i make a special tee for my son. When i saw these peeps the ideas started churning in my head. So many variations to play with. 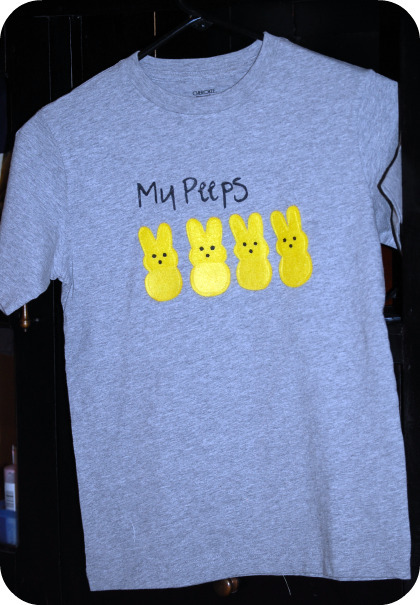 Funny part is, i had to explain to him what “my peeps” meant. 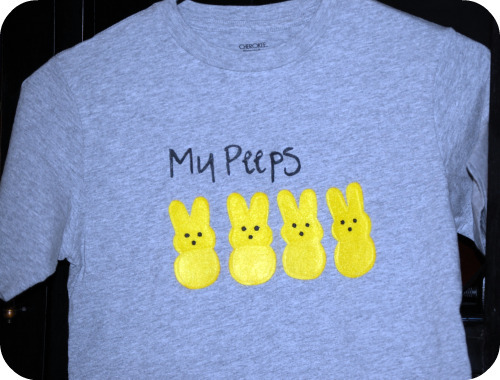 I really like the shirt, and I really love that you had to explain what “my peeps” were. I thought that one was still around, but now I think I just sprouted a few extra gray hairs. Thanks for sharing your site link with me. I love your work and your daugther is such a cutie. I’ll be back to do more looking next week. 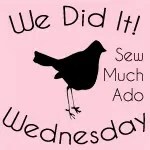 found your link from Sew Much Ado… really like the idea of making the peeps into a shirt. Have only seen the banner idea before…Keep up the good work.